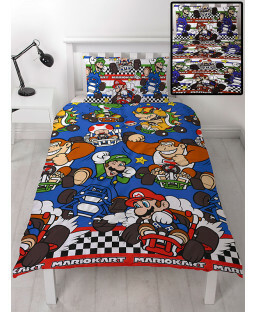 Decorate your kid’s bedroom with their favourite video game character, Mario. 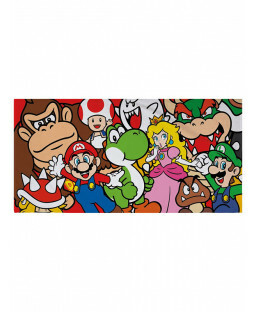 Our range of official Super Mario bedding and gifts features the classic Nintendo character and friends including Yoshi, Princess Peach, and Luigi. 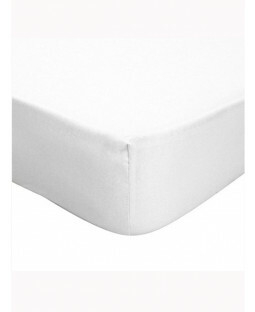 Find a selection of single duvet covers and double duvet covers with matching pillow sets. 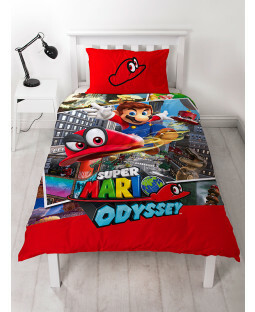 There’s a choice of bedding for boys and girls with classic scenes from Mario’s adventures including Mario Kart racing and Super Mario Odyssey. Check out reversible duvet covers for double the fun! Get cosy with some soft furnishings. 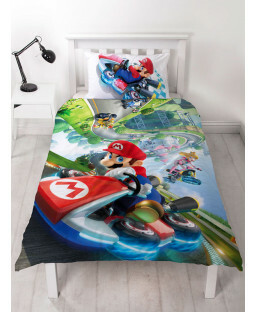 A Mario Kart fleece blanket completes your kid’s Mario themed bedroom and helps create a comfy place to enjoy their console games. 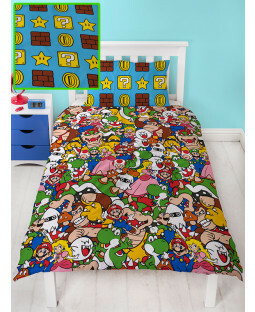 Our Super Mario bedding and blankets are wonderfully soft and machine washable. 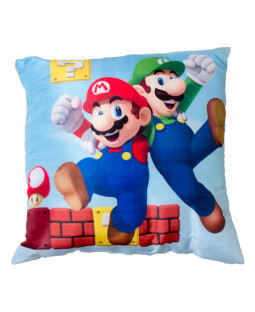 Our selection of Nintendo merchandise makes the perfect gift or stocking filler for any Super Mario fan and comes with free UK delivery.